How Does a Speeding Ticket Impact my Auto Insurance Rates in Ontario? There’s nothing worse than receiving a speeding ticket on the way home from a long day at work. You’re driving along, when suddenly, you hear the siren of a police cruiser. You’re pulled over and written a ticket for speeding. 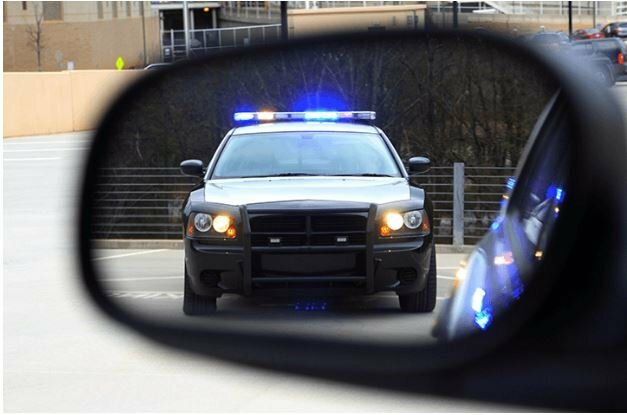 Getting a speeding ticket is a double-edged sword, with neither edge working in your favour; not only do you have to pay the actual ticket amount, it can also result in higher auto insurance rates. How Long Will a Speeding Ticket Affect My Rates? Although the rules vary by province, if you receive a speeding ticket in Ontario, it can affect your auto insurance rates for up to three years. That’s because the speeding ticket remains on your driving record for three years. The Ministry of Transportation is alerted when you pay the ticket or you’re found guilty in court (if you challenge the ticket). Either way, the infraction is posted to your record, which your insurance provider will check when it comes time to renew your auto insurance policy. When you receive a speeding ticket, you have two choices: pay for it or fight it in court. If you believe you’re in the right you may choose to fight the penalty. If you lose, the ticket will go to the Ministry of Transportation. If you win, you’re off the hook. Even if you lose, taking it to court can delay the outcome long enough that you can buy a grace period before your insurance company finds out about the ticket. Why Does a Speeding Ticket Impact my Rates? When applying for auto insurance, many insurance companies ask whether you’ve been convicted of a driving offense, such as a speeding ticket in the last three years. As previously mentioned, the insurance company can also request a copy of your driving record to verify you’re answering truthfully. If you’ve received a speeding ticket, the insurance company will see you as a higher risk in terms of making a claim or being involved in an accident than someone who has a clean driving record. How Much Does a Speeding Ticket Affect my Insurance Rates? How much a speeding ticket affects your auto insurance rates is a difficult question to answer. That’s because each insurance company uses a different formula to determine itsauto insurance premiums. Some insurance companies may not increase your auto insurance premiums after just one speeding ticket, but others may increase it at your next renewal. It’s not set in stone, butOntariotraffictickets.com generalizes by stating, one speeding ticket could lead to an increase of up to 10 percent on your auto insurance premiums, two speeding tickets could lead to a 25 percent increase and three speeding tickets could lead to a 100 percent rate increase. The best way to avoid a speeding ticket is to not speed in the first place. If keeping yourself, your passengers and your vehicle safe isn’t motivation enough, just remember the financial cost of ignoring the limit may be a lot greater than the price printed on the ticket.